The Hollywood Reporter just announced that there will be a panel for The Legend of Korra on July 19th at this year's San Diego Comic-Con! The panel will be from 11:15am to 12:15pm in Ballroom 20. Who will attend the panel has not yet been announced, but in the past creators Bryan Konietzko and Michael Dante DiMartino, as well as voice actors Janet Varney, David Faustino, P. J. Byrne, and Seychelle Gabriel have appeared. 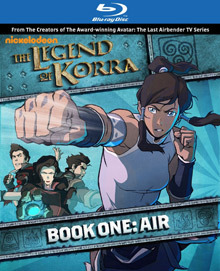 Nickelodeon also plans to release an interactive book titled The Legend of Korra: Enhanced Experience on the iBook store on July 2nd. The book will feature concept art, and in-depth looks at the characters, animatics, storyboards, and more. Stay tuned for more news and updates, and head over to The Hollywood Reporter to read the full report. Five years ago, in June of 2008, I launched Last Airbender Fans in the midst of Book 3 of Avatar: The Last Airbender and the news of the live-action adaptation movie. In those five years I saw the site grow into something I never predicted, and ultimately shrink back down into near oblivion. 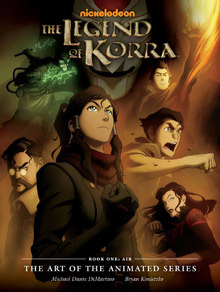 Those five years also saw the failure of the live-action film, and the launch of a spin-off series with The Legend of Korra. I've had the great privilege of making very close friends through this site, and it was in this site's honor that I decided to rebuild it and (attempt to) bring it back to it's glory. To properly create something new for LAF, I felt the site needed to disconnect from the past. The redesign needed to reflect the commitment to starting anew, and recognize the changes in the fandom. Part of that commitment was getting LAF running off a new, incredibly fast server so that you can access the information you want without delay. And that is just the beginning. Over the next few months we will be beefing up the news and comments system, adding support for Retina Displays, and creating new image galleries. I've spent a great amount of time rebuilding the site from the ground up, and I'm thrilled to be finally launching the second version of LAF today. This fandom has a truly awesome and diverse community that is always growing. The next few years are going to be exciting. 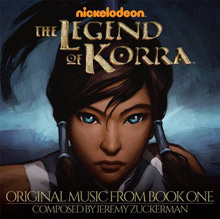 There are still three more books of The Legend of Korra to come! I hope to share this exciting time with all of you, and I hope everyone sticks around for what more the future holds.